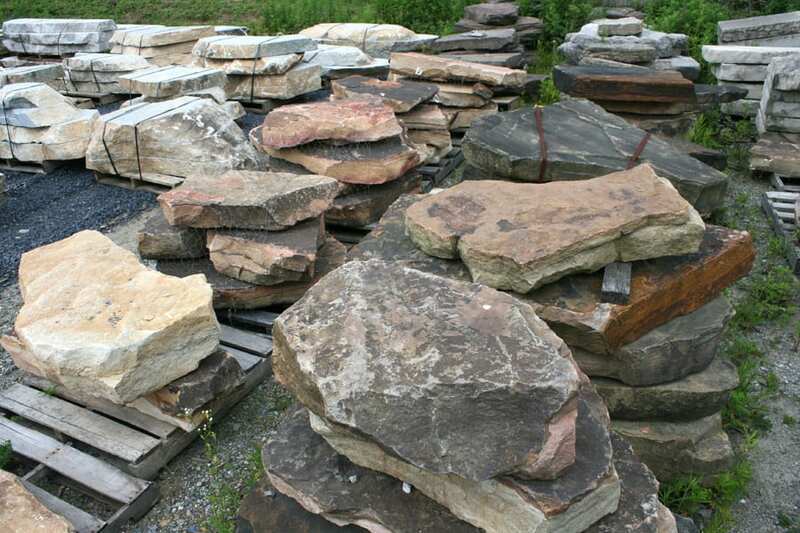 Rainbow Natural Stone Steps are colorful natural stone steps from Wicki Stone. Browns and tans mix with orange and red to create a uniquely colorful stone step. 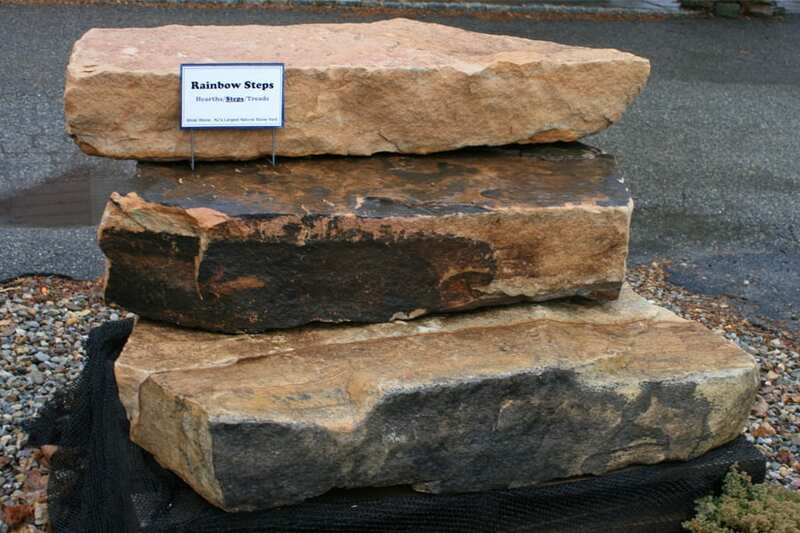 Rainbow Natural Stone Steps have completely natural top, bottoms and all sides. These steps look aged the day they are installed - as if they had been in that spot for decades - a classic look that is hard to achieve. 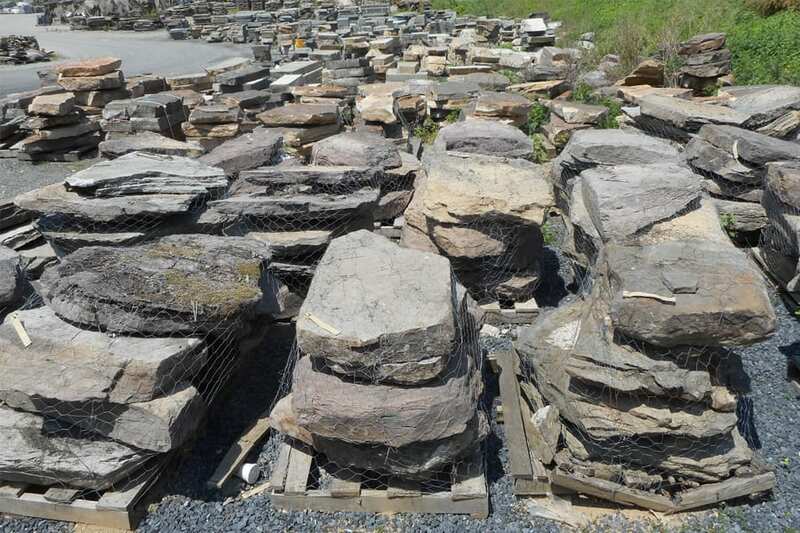 Rainbow Natural Stone Steps go well with a range of other Rainbow products we sell (learn more in our Landscape Stone section of our Families Of Stone section). A uniquely colored stone step that can transform any landscape. Colorful steps are just one more example of the range of Rainbow stone products we sell. Irregular edges and stepping surfaces, not recommended for high traffic areas. Tan to brown with distinct orange and rust hews and a range of accent colors including black. Very colorful stone.